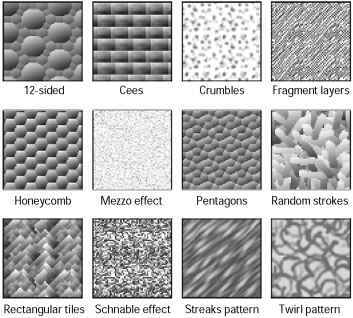 Figure 7-19: These 12 patterns are in the Displacement Maps folder included with Photoshop. * Illustrator patterns: If you open the Presets folder, then the Patterns folder, and then the PostScript Patterns folder, you can find Illustrator EPS files that contain repeating object patterns. The patterns, some of which appear in Figure 7-20, are all seamless repeaters. You can open them and rasterize them to any size you like. Then press Ctrl+A, choose Edit ^ Define Pattern, and you have your pattern. * Using filters: As luck would have it, you can create your own custom textures without painting a single line. In fact, you can create a nearly infinite variety of textures by applying several filters to a blank document. To create the texture shown in the top row of Figure 7-21, for example, I created a new 200 x 200-pixel image. I then chose Filter ^ Noise ^ Add Noise, entered a value of 64, and selected the Gaussian radio button. I pressed Ctrl+F twice to apply the noise filter two more times. Finally, I chose Filter ^ Stylize ^ Emboss and entered 45 in the Angle option box, 2 in the Height option box, and 100 in the Amount option box. The result is a bumpy surface that looks like stucco. Figure 7-20: A random sampling of the illustrations in the PostScript Patterns folder, found inside the Presets/Patterns folder. To get the second row effects in Figure 7-21, I started with the noise pattern and applied Filter ^ Pixelate ^ Crystallize with a Cell Size of 10 pixels. Then I again applied the Emboss filter with the same settings as before. To create the third row of textures, I started with a blank image and chose Filter ^ Render ^ Clouds. Then I applied the Emboss filter with an Amount value of 500. 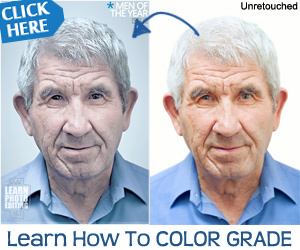 To punch up the contrast, I choose Image ^ Adjust ^ Auto Levels (Ctrl+Shift+L). I could go on like this for days. To learn more about filters so you can make up your own textures, read Chapters 10 and 11. Chapter 10 covers Add Noise; Chapter 11 explains Emboss, Crystallize, and Clouds. * Marquee and clone: You can use the rectangular marquee and pattern stamp tools to transform an image into a custom pattern. Because this technique is more complicated as well as more rewarding than the others, I explain it in the following section. Figure 7-21: To create a stucco texture, apply Filter ^ Noise ^ Add Noise three times in a row (upper left, upper right, lower left). 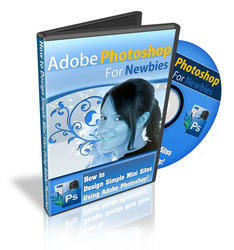 Then choose Filter ^ Stylize ^ Emboss and enter a Height value of 1 (lower right). How to make a herringbone pattern in photoshop? How to make a continuous map in photoshop? How to map herring bone in photoshop?